Mary Ann and I worked on a quilt together today, at her home. 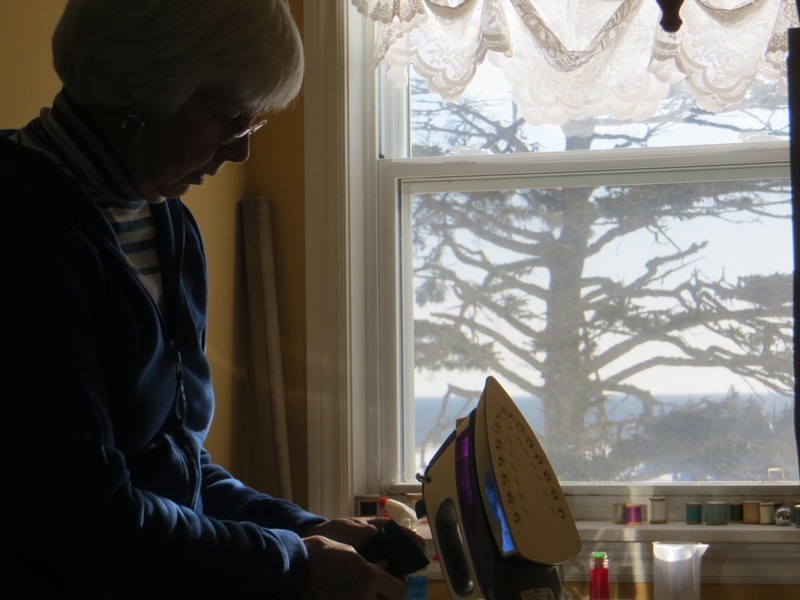 I loved this view from where I sat behind a sewing machine…I could see Mary Ann working, but also the huge Spruce tree, and the ocean…and the lacy curtains. A very calming, homey scene.